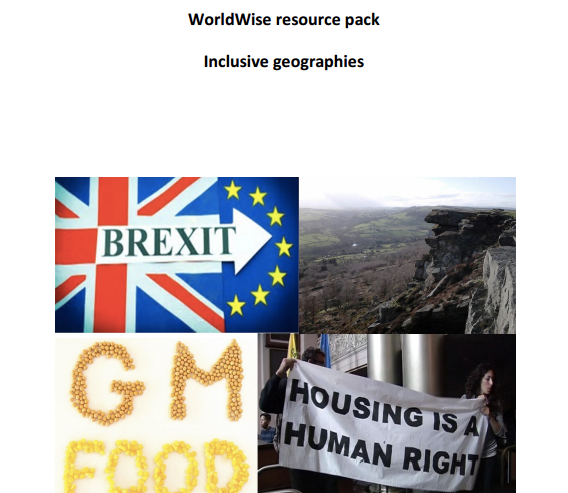 Each week, the Worldwise week, organised by the Geographical Association has a theme which connects with the GA Conference theme. A special pack on the theme of Inclusive Geographies is now available to download from the GA website. This has some useful materials which connect with the PLACE topic which some colleagues are having some issues with. The Worldwise week is the last week in June. You can also download materials from previous years. I've been privileged to be involved with this for several years, while working for the GA.